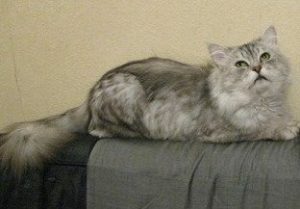 Barsik was a beautiful foundation male found by Svetlana Shestova from Serebryanaya Mechta cattery in Moscow. The silver beauty was found in a park 100 kms from Moscow during a family day out. Sasha, Svetlana’s son who was then only 5 years old (he is now in 2016, 20 years old) found the beautiful kitty in a bush. 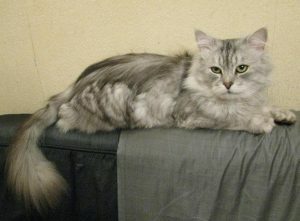 Barsik was silver spotted, green eyes and a little beauty. The family took him home. Barsik received a certificate as Siberian and become foundation cat at Serebryanaya Mechta cattery. He died at age of 9 years from complications of a infected tooth. Here are the judges who gave his first certificate as Siberian Foundation cat.